UNLESS you're dead inside, you will not fail to be utterly charmed by Paddington 2. The iconic and unerringly polite bear, with his floppy red hat, blue duffle coat and marmalade obsession, returns for more exploits filled with mishaps, friendship and general bonhomie. A few years have passed since Paddington (voiced by Ben Whishaw) has settled in with the Browns at Windsor Gardens. He's absolutely killing it at life, making friends at every turn (except the rule-loving Mr Curry) and bringing joy to everyone's days. With Aunt Lucy's birthday coming up, Paddington wants to give her the perfect present. 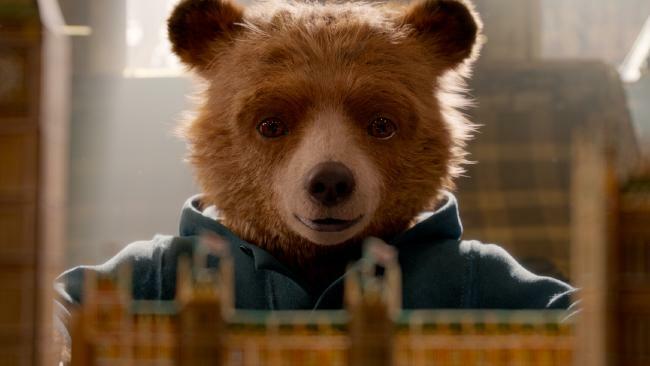 When antique shop owner Mr Gruber gets in a shipment containing the most exquisite pop-up book of London, Paddington is deadset on sharing the magic of his adopted home with his aunt. At $1000, the book is out of reach unless he gets a job. A short career as a hairdresser's apprentice ends in a hairy mess but he finds his niche as a window cleaner - he even shimmies up The Shard. Only one day away from finally buying the book, Paddington interrupts a robbery at Mr Gruber's shop - a bearded thief has stolen the book. Paddington gives chase but is mistaken for the robber and is arrested and ends up in the clink where he meets all manner of seemingly scary felons, including the imposing Nuckles (Brendan Gleeson). Meanwhile, the Browns are out to prove Paddington's innocence and unmask the real culprit, the narcissistic, has-been actor and master of disguise Phoenix Buchanan (Hugh Grant) who needs the book and its hidden secret to fund his West End one-man comeback. Paddington 2 is a rollicking, fun adventure, made by director Paul King with a sense of wonder and delight. The blend of animation with live action is seamless and every human actor - luminaries such as Gleeson, Julie Walters, Sally Hawkins, Jim Broadbent, Hugh Bonneville and Joanna Lumley among them - look like they're having a jolly good time. This sequel is even more accomplished than the original with the addition of Grant's villain. 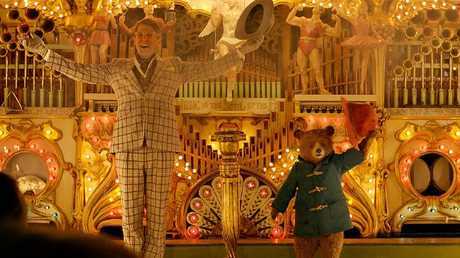 Where Kidman's Millicent Clyde was a little one-note in the first film, in Paddington 2, Grant's Buchanan is a unhinged, soliloquy-sprouting foil that brings a rousing energy to the movie. Plus, his costumes are thrillingly good - you won't have lived until you see Grant dressed up as a spaniel and spooning dog food into his mouth with a gold spoon. Visually, the film impresses with its candy-coloured aesthetic, an ode to the pages it was sprung from. But it also pays tribute to cinematic culture. There is a prison sequence that could almost rival Wes Anderson's most elaborate set pieces, while an imagined pop-up book scene has a touch of La La Land's astonishing final 15 minutes. And you won't fail to notice the homage to Charlie Chaplin's Modern Times. 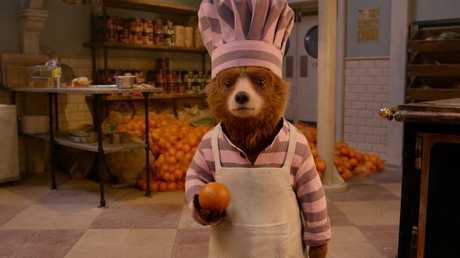 Paddington 2 is proof that a simple kid's movie about a beloved character can still be relevant in our more jaded times. He's got a thirst for life, an eternal optimism and the unflinching belief that people should be kind to one another - a message everyone from two to 102 can take to heart. How can you not be enchanted by that?